Okay, now that only the people who want to be here are here: Legion’s inaugural season reached its shocking conclusion tonight, with David finally ridding himself of Lenny a.k.a the Shadow King—or has he? After all, Lenny’s shacking up with Oliver now, and the two head off on what’s bound to be an awesome albeit frightening road trip. And Lenny doesn’t strike us as the kind of parasite that loses gracefully. We’ll be speculating about Noah Hawley’s mind-bending take on the world of superheroes for at least the next year or so, which is roughly how long we’ll have to wait for a new season, according to Hawley. 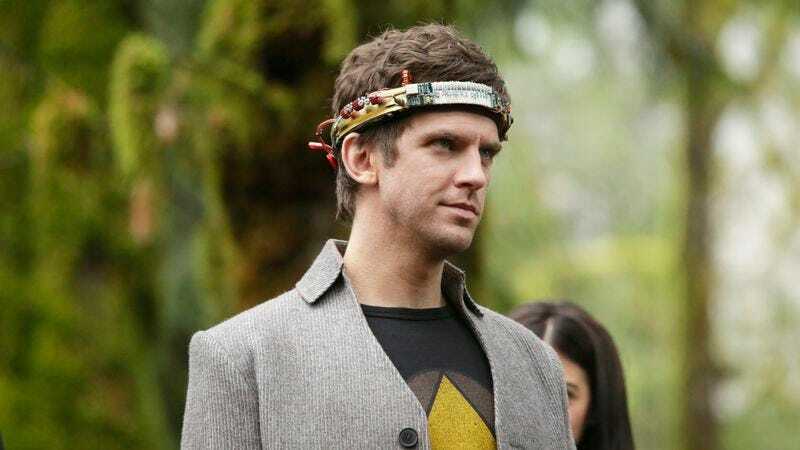 The Legion creator spoke with reporters earlier this week about the finale and what lies ahead for the Summerland group. David Haller himself, Dan Stevens, also fielded questions about what might have been his Patrick Stewart impression, and whether his mutant character is finally on firm ground. Legion’s mostly operated outside of the X-Men universe (comic and cinematic), but Hawley addressed the connections that have been made. He and his team are in no hurry to introduce Professor X, but he reiterated that it’s not out of the realm of possibility. As for whether Melanie’s statements about evolution and humanity’s decline were intended to evoke Magneto’s firmly held beliefs, Hawley said ”it wasn’t her intention, other than to say that [they] need a sense of perspective of the way the universe works.” It’s simply that the humans in Division Three think they’re ”at the top of the food chain, but now there’s something higher. So [they] should be a little less arrogant and more willing to work with” the mutants.